At the very latest ever since the publication of Frank Schätzing’s novel “The Swarm”, everyone knows of the potential power of intelligent collectives - much more powerful than merely the sum of all its individuals. 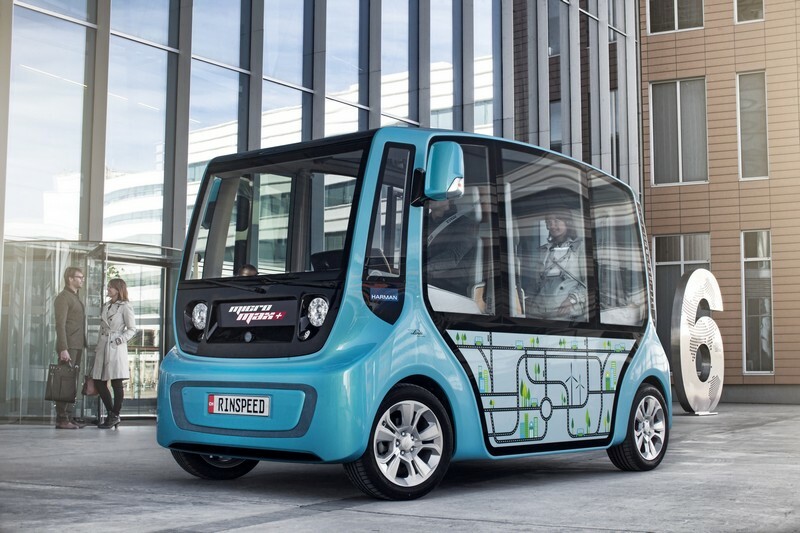 With “microMAX” Frank M. Rinderknecht, boss of Swiss creative powerhouse Rinspeed, transfers the idea of swarm intelligence to urban traffic and sets out to do nothing less than to revolutionize it. The incarnation of the idea is “microMAX,” on display at the Geneva Motor Show, March 7 through 17, 2013. 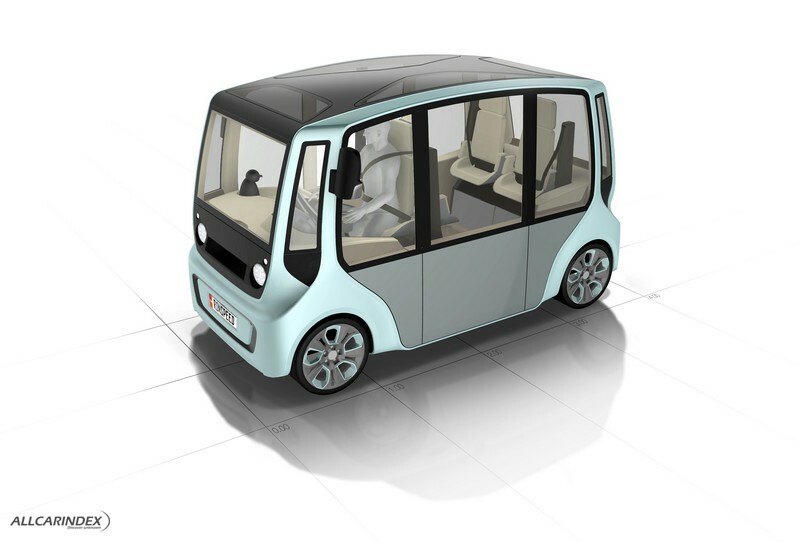 The ingenious commuter vehicle merges personal and public transportation in very clever fashion. 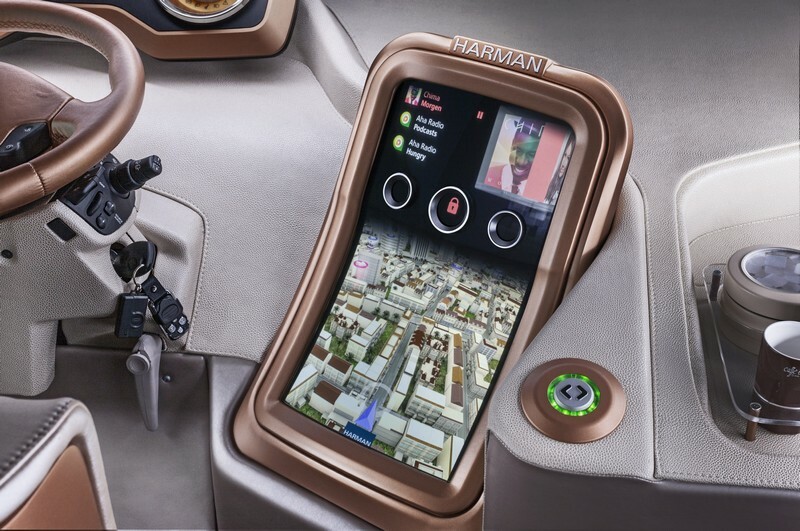 In the Rinspeed “microMAX”, renowned manufacturer of top-class automotive multimedia and infotainment systems Harman for the first time introduces its vision of an “urbanSWARM” community concept based on the Harman Cloud platform. 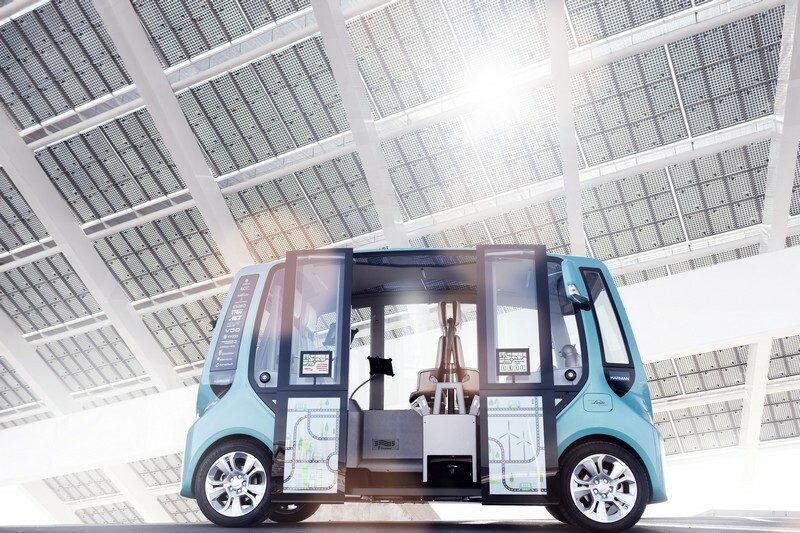 This concept involves combining the company’s individual technical features that are already available commercially today with a comprehensive Cloud-based mobility concept. This allows, for instance, easy access to navigation functions in real time. 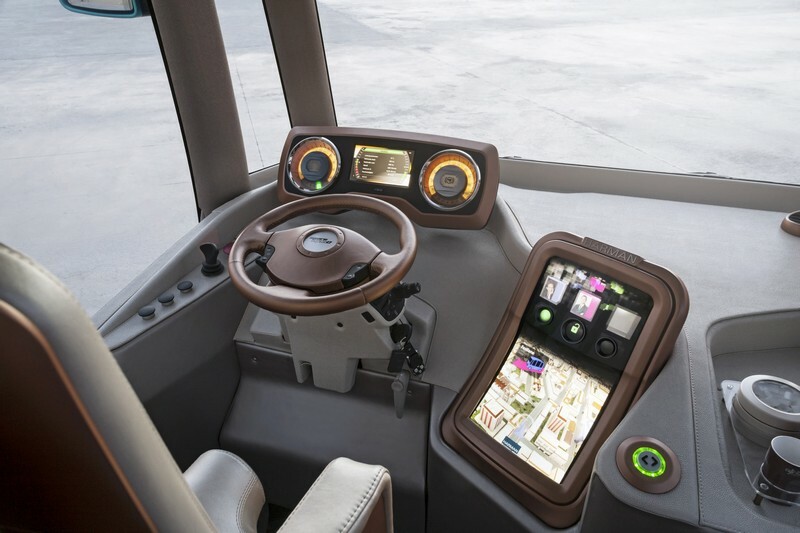 Based on the information from all vehicles connected to the swarm, the system can modify the routes dynamically to account for current traffic. “microMAX” owners belong to a modern mobility community that allows all microMAX vehicles to be used with maximum flexibility: by people driving themselves, by regular commuters in permanent carpools, but also by people looking for on-the-spot rides or needing to cover individual legs of their trip with the help of several “microMAX” participants. 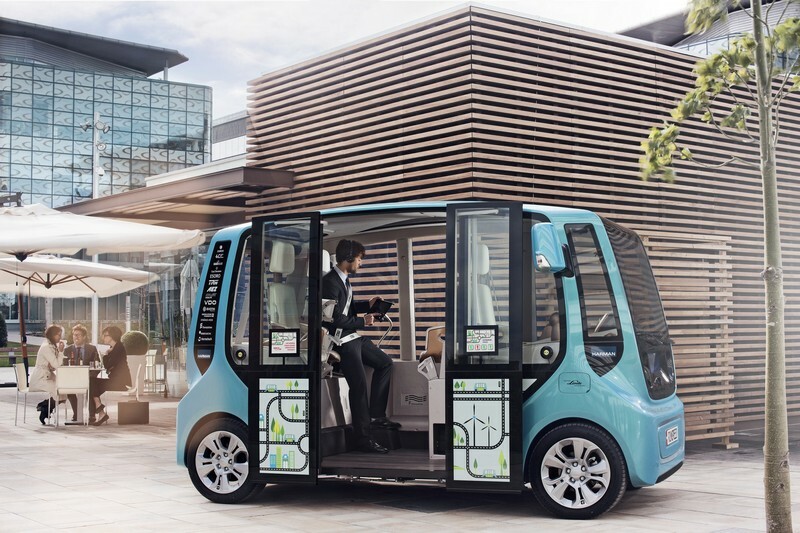 A special app custom-developed by Harman for this purpose gives all road users who are looking for a transport option and are part of the selected community access to the new mobility concept. 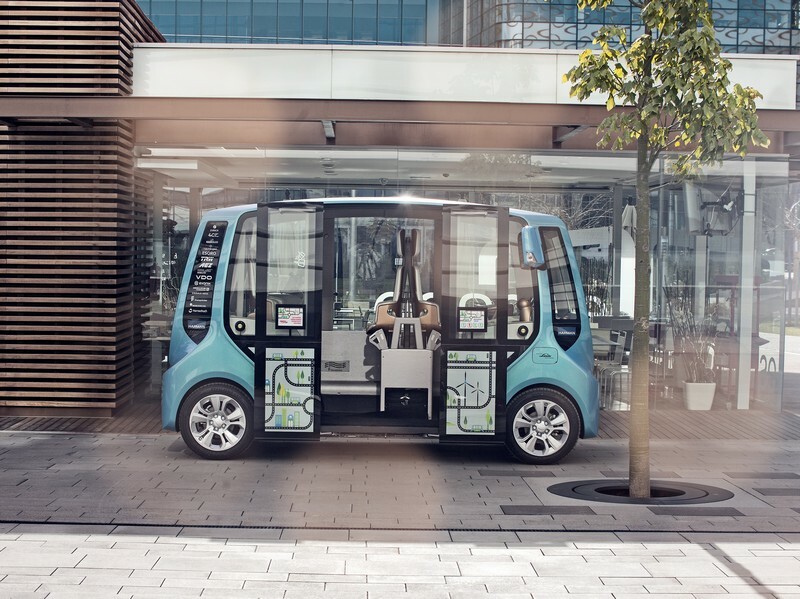 Potential riders only need to enter their destination; the “urbanSWARM” community uses Cloud technology and access to the collective information and experience of the entire swarm of vehicles to do the rest. Because the system has information about routes, destinations, traveling speeds and occupancy of all vehicles in the swarm, it calculates potential ride opportunities in real time and - if called for - even determines transfer options. This creates an extremely efficient, flexible and convenient transport system with maximum capacity – without wait times, without prior planning and without detours. Cyclists can even have their bicycles taken by piggyback over longer distances. A compatible e-bike has already been developed and is being marketed by bicycle manufacturer Grace. “microMAX" lends form to the overall concept. 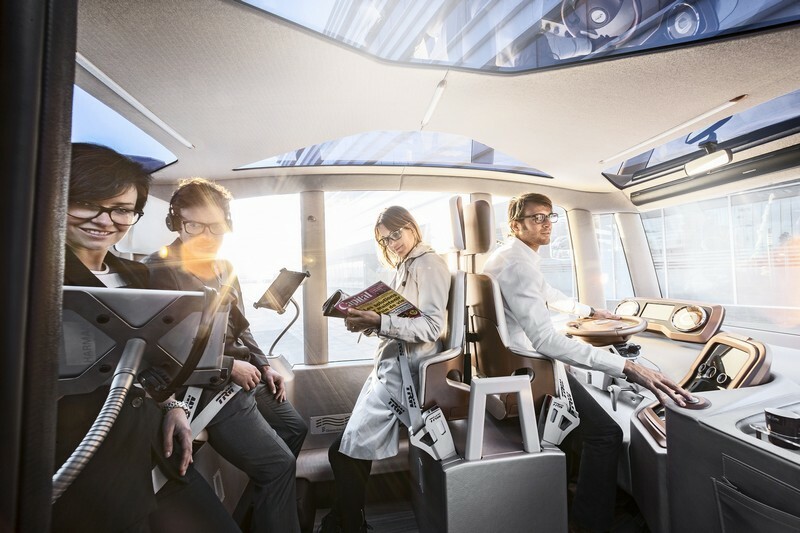 With this incarnation of sustainable mobility, Swiss car visionary Rinderknecht and Harman define an entirely new class of vehicles with hitherto unseen spaciousness. The engineering - following a long tradition - was done by 4erC; the “microMAX” was built at Esoro, among others. 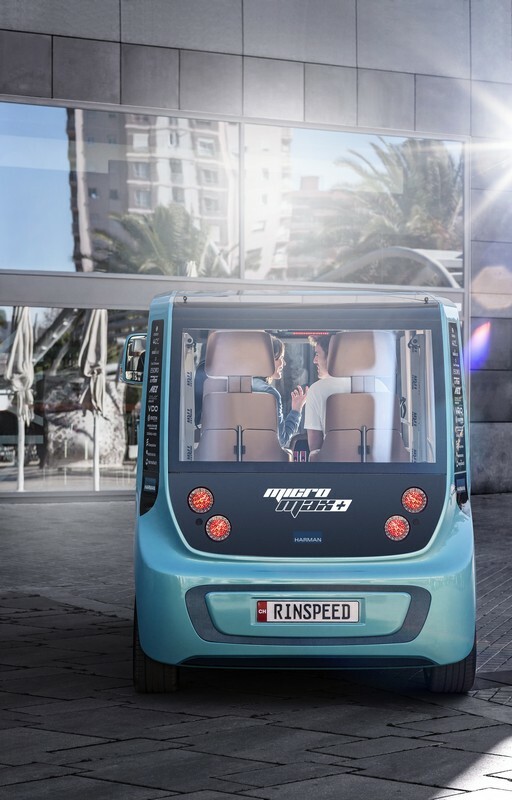 With a length of 3.7 meters, roughly equivalent to that of a BMW Mini, “microMAX” not only offers plenty of space for the driver, three passengers and a unfolded stroller or shopping cart, it also provides the desired privacy! 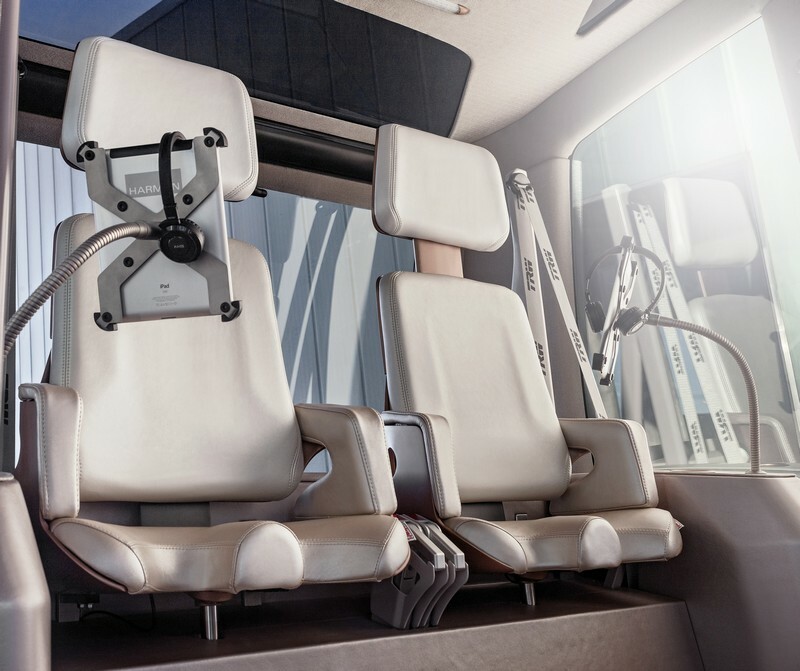 The vehicle height of just shy of 2.2 meters permits the installation of comfortable and space-saving upright seats equipped with a custom-developed safety belt system from TRW, a top vendor in the vehicle safety sector. But above all, the invitingly modern interior from surface specialist Hornschuch as well as headliner and roof pillars covered with special textiles from Strähle&Hess affords the occupants an outstanding sense of spaciousness with a homey lounge character. All occupants furthermore enjoy such amenities as a coffee maker, refrigerator for refreshments and unlimited connectivity for entertainment purposes or for working while on the move. Window panes manufactured and enhanced by KRD from Plexiglas made by chemical manufacturer Evonik ensure the vehicle’s safety and low curb weight. 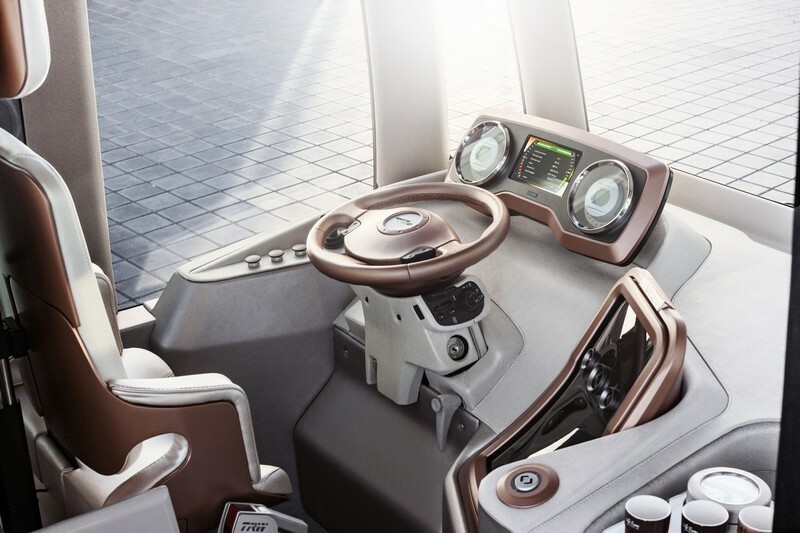 Also contributing to the latter are lightweight-design interior components from Gaugler&Lutz that were manufactured by the Thuringia Center for Mobility Innovation. And the latest NFC (Near Field Communication) technology from Harman makes it fast and easy to identify drivers as well as passengers. 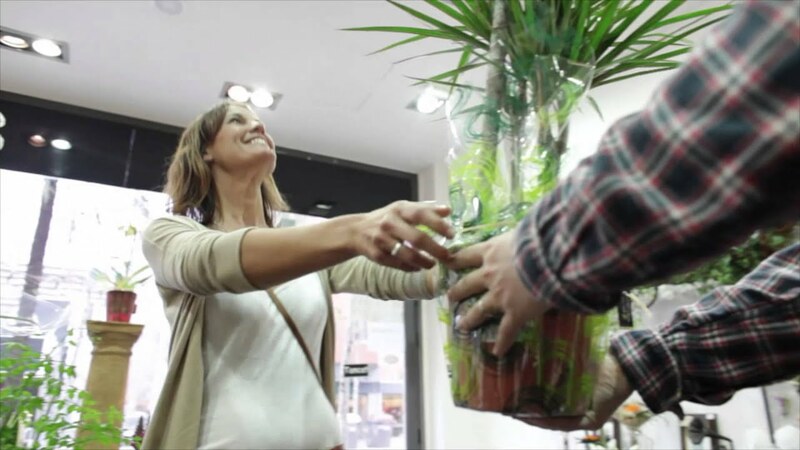 This solution also allows access to personal data, community profiles and payment systems. 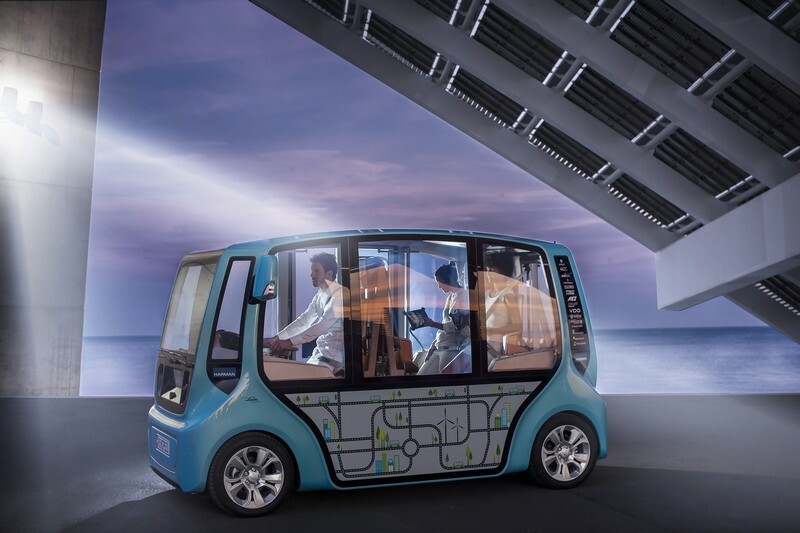 Rinderknecht: “microMAX” aims to encourage potential passengers to get in and ride because it is extremely convenient and simple.” Its summery turquoise paintwork harmonizes perfectly with the custom-developed silver AEZ alloys, and beams at every observer. It goes without saying; the “wellness animation program” also includes an auxiliary heater and air conditioning technology from Eberspächer. The spacious interior has an airy and light feeling. 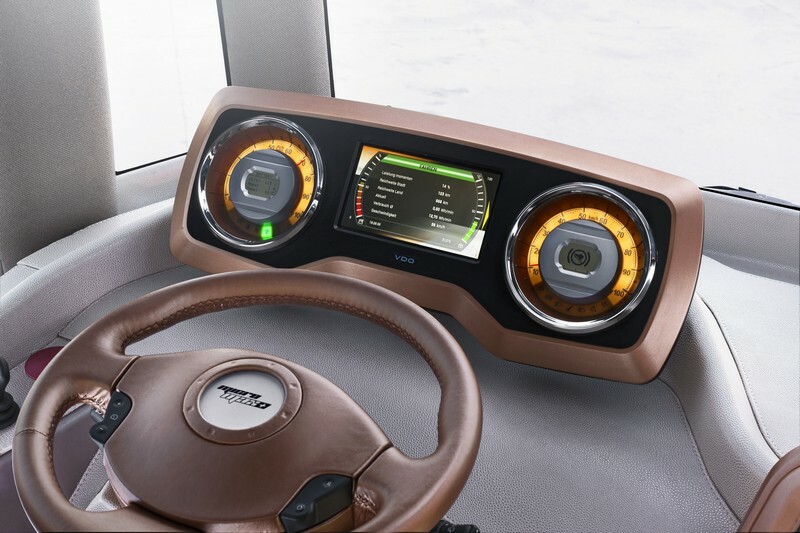 The clearly arranged VDO instrument panel dominates the area in front of the driver. Its central control unit has been custom-programmed by software service provider Noser specifically for the “microMAX.” The command center for the “urbanSWARM” community platform is the 19-inch HD touchscreen from Harman, which features a multi-dimensional HMI (Human Machine Interface) and offers expanded display functions. 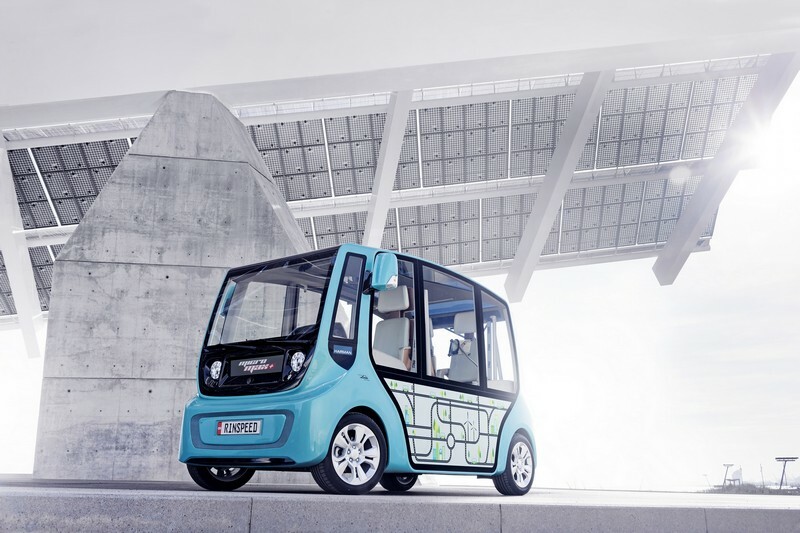 It goes without saying; “microMAX” is an all-electric vehicle powered by a forklift drive system from world market leader Linde Material Handling. The system is recharged at intelligent charging stations from infrastructure pioneer RWE. Since the vehicle operates very quietly, the Harman specialists have developed an acoustic pedestrian safety system based on their HALOsonic technology. A synthetically generated, replicated engine sound that emanates from the front of the vehicle provides early warning to pedestrians. This effect is further bolstered by the fact that the nature of the sound always reflects current engine load, engine speed and vehicle speed to ensure the vehicle provides pedestrians with the best possible auditory clues. 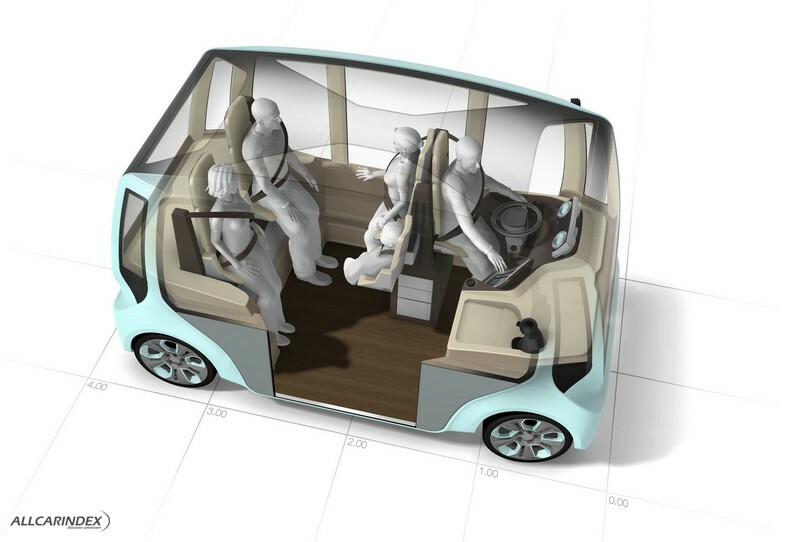 “microMAX” is a clever mobility concept with a comprehensive approach. As is natural for Frank M. Rinderknecht, he has created a concept car filled with such emotion and spiced with a host of technical highlights that even Swiss insurance giant Zürich has become involved. In light of such potent partners, what would be more logical than to contemplate series production? No wonder that dynamic Frank M. Rinderknecht is toying with this possibility in his capacity as a showcase for Swiss watch manufacturer C.F. Bucherer. Various equipment modules, for example, for craftsmen, mail carriers or express courier services, make this revelation in space extremely versatile. As the leading vendor of professional 3D visualizations in real time, RTT has already made these various versions “tangible” with a proprietary app. Düsseldorf-based consulting firm A.T. Kearney has developed a corresponding manufacturing and marketing program for the series production. These unique visions are communicated in easy-to-comprehend fashion thanks to promotional support from Vollmond advertising agency based in the German state of Saarland. "microMAX" - my, your, our car! My, your, our car. "microMAX" from the Swiss car visionary defines an entirely new class of vehicles. 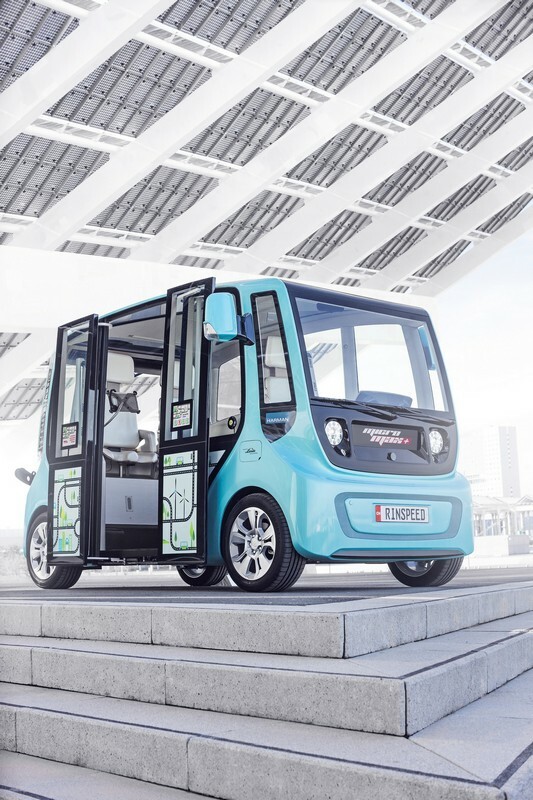 With a length of 3.6 meters, equivalent to that of a BMW Mini, “microMAX” not only offers plenty of space for the driver, three passengers and a stroller or shopping cart, it also provides the desired privacy. The vehicle height of 2.2 meters permits the installation of comfortable and space-saving upright seats equipped with safety belts - but above all, affords an outstanding sense of spaciousness with homey lounge character. 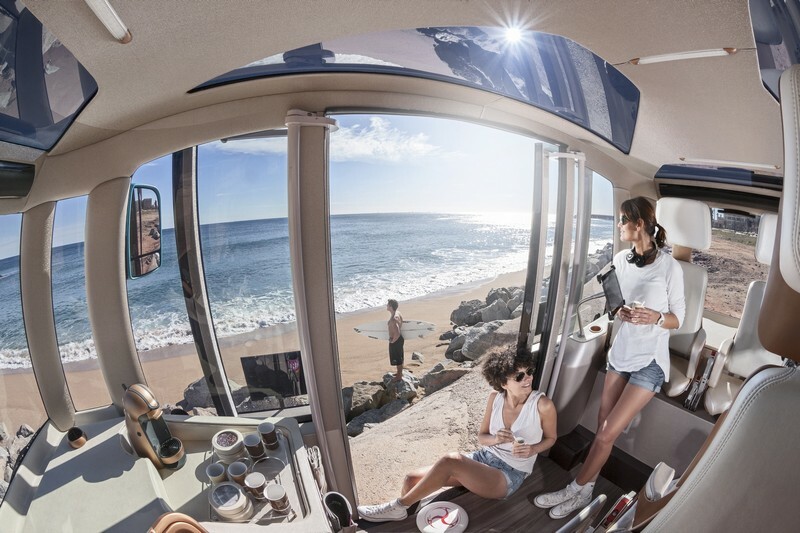 A coffee maker, a refrigerator for the passengers’ happy-hour drinks and unlimited connectivity for entertainment purposes or for working while on the move are also included. 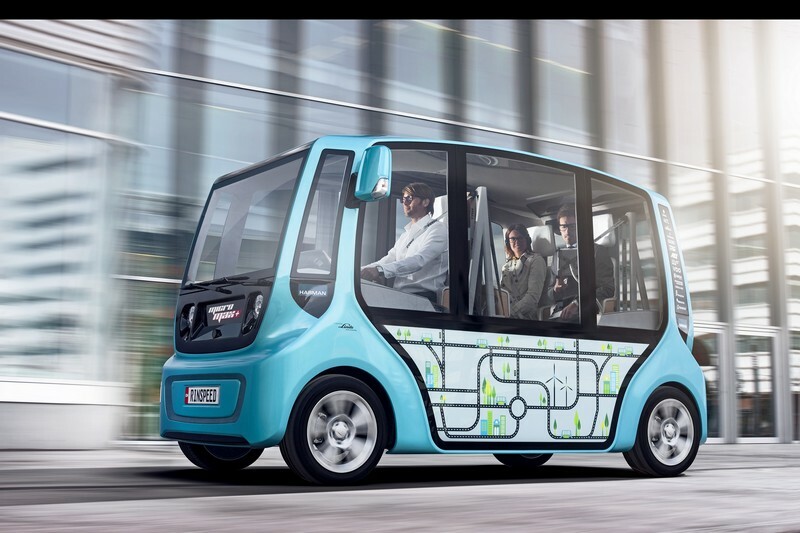 Rinderknecht states: "microMAX" aims to encourage potential passengers to get in and ride because it is extremely convenient and simple.” And every passenger decreases CO2 emissions and costs - even the number of traffic jams falls. It goes without saying that "microMAX" is an all-electric vehicle. Various equipment modules, for example for craftsmen or delivery services, make the space saver extremely versatile. Because, even though “microMAX” can be “your taxi” or “your bus” every now and then, the short four-wheeled friend first and foremost wants to be one thing: your car.